Wimbledon was treated to a magical, festive day of Christmas celebrations at Wimbledon Winter Wonderland this Sunday. 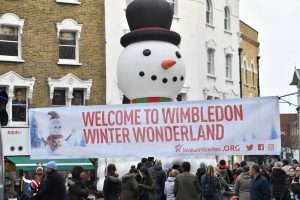 Our popular ‘Wimbledon Winter Wonderland’ returned to Wimbledon Broadway on Sunday 2 December, which saw part of the road being closed to welcome Christmas to Wimbledon. 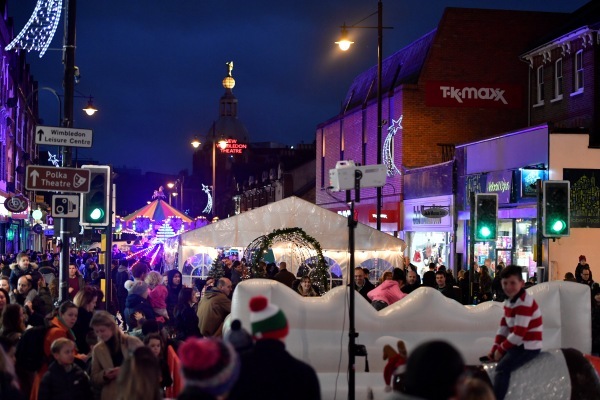 Thousands were treated to festive performances, Christmas market stalls, street entertainment and children’s rides. Performers from New Wimbledon Theatre and Polka Theatre entertained on stage as well as local choirs and dance groups. 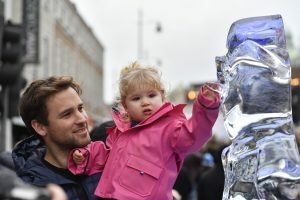 A giant snowman bouncy castle, roller-skating Christmas pudding and stilt walking ice queen brought the magic of Christmas to Wimbledon. 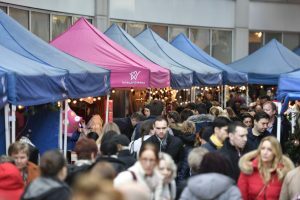 New this year, the event stayed open till 7.30pm which allowed attendees to enjoy shopping, eating and drinking into the evening. 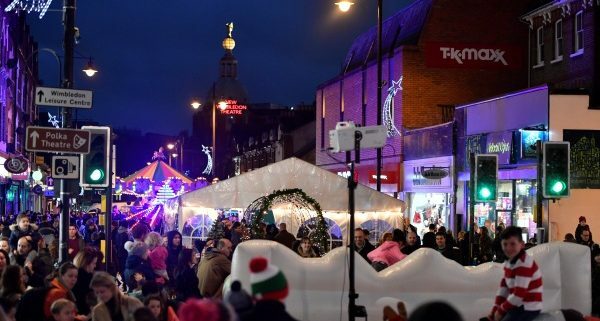 Family photos took place within a giant snow globe and market stalls sold festive presents and foods, mulled wine and roasted chestnuts, as well as a popcorn stand and candyfloss. Local businesses got involved with Centre Court Shopping hosted a stage with fantastic performances all day, Elys department store had brass band performances and Francao Manca pleased the crowd with a pizza stand at the event. 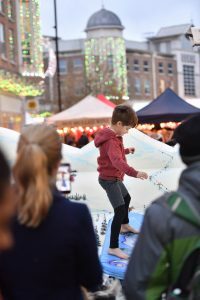 Favourites such as ‘live ice carving’ and the snowboard simulator were back as well as the ‘magical marquee’ which provided a covered area for families to sit, enjoy hot food and take in all the festive fun. 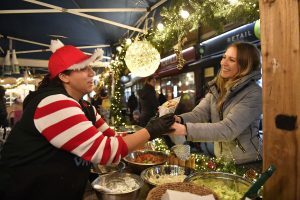 Sally Warren, from Love Wimbledon commented ‘What a special day Wimbledon Winter Wonderland was this year. We had a fantastic array of local talent on stage and activities for all the family. The market was magical and we saw a great many families come out for the event this year. Seeing children’s faces light up really makes all the hard work worth it’.